The “Cathedral of the Wimmera”, the Murtoa Stick Shed has joined iconic buildings such as the Sydney Opera House on the National Heritage List. The Murtoa No.1 Grain Store has been included in the National Heritage List as the only remaining emergency grain store built during World War Two. It is an enduring testament to iconic Australian bush ingenuity and a symbol of the growth and strength of the Australian wheat industry. 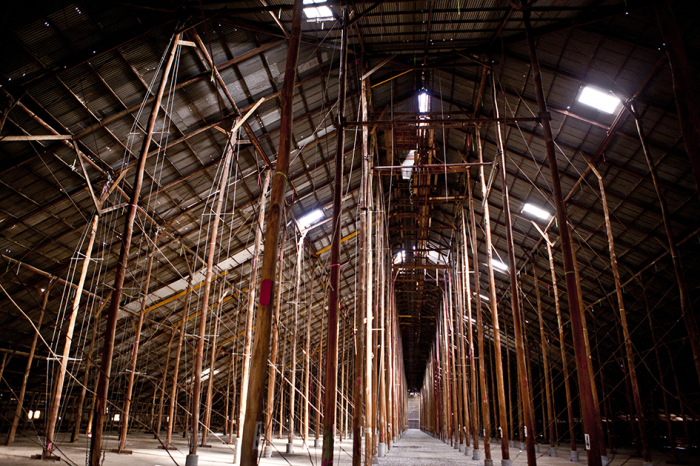 The Shed, with its majestic interior spaces, has been dubbed the ‘Cathedral of the Wimmera’. It is the 101st place on the National Heritage List. Designed to hold 3.5 million bushels or 92 500 tonnes of wheat, construction of the Murtoa No. 1 Grain Store began in late 1941. War time restrictions meant builders had to rely on raw, local and recycled materials to build the colossal shed. In a neglected state for some time, the Heritage Council and Heritage Victoria have made the restoration of the Stick Shed a key project in recent years. The Heritage Council of Victoria, with Culture Victoria, created a short film of the history of the Stick Shed.